WHICH MOVIE WOULD YOU SAY IS MORE IMPORTANT FOR A TEENAGER TO SEE? Why not make this deal with the moviegoers in your life? If you go see The Hunger Games you will see The Bully Project too. 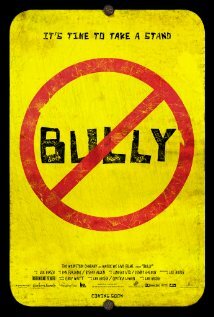 If you only choose one movie to see in the near future, make it The Bully Project. Let’s support this important global message. Every person deserves to feel safe. i’ve heard such good things about The Bully. will make an effort to see it. Oh! I got chills. And now…tears. Bullying is SO real. We had a minor incident with my son and fortunately nipped it in the bud early. BUT…it’s SO scary to see what can happen. Everyone needs to see this. I wish I could watch the trailer, Natalie, but Huey P. Ackard (Laptop) has decided he likes to freeze in the middle of videos. 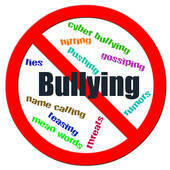 However, the question is clear and I vote YES on parents ensuring their kids see the message about bullying. I never commented on your opinion question about humor in the commercials on DUI. (Huey P. again). BUT, IMHO, humor can’t hurt. Sarcasm knocking DUI can’t hurt. The serious ones can’t hurt. Pics and stories like your sons help. ANYthing, any medium, any “don’t do it” message that might ping the “duh” button helps. Natalie, thanks for reblogging this important message. The more voices the better! That’s a great deal. The Bully Project is so important. Great idea for reblogging! I hadn’t heard of it before. Wonder if it’s showing in Canada. Thanks for the heads up. Reblogged this on Jennifer Tanner. Wow. Definitely a Kleenex moment. It’s so important to teach kids to respect someone who’s different. I hope parents take their kids to see this movie. What an emotional picture. I had tears in my eyes watching the clip. I’m sure I would be a wreck while watching the whole movie. I’m glad there is more and more effort and resources put into anti-bullying movement. In my kids’ school there is zero tollerance for bullying. I wish all schools across the country took such serious measures.